I'm nearly at the end of this years cookery challenge where I've been trying to cook a new recipe each week. For next year I set myself have a new challenge: to cook a regional cake or dessert for each letter of the alphabet. I've got most letters sorted - I plan to start with Aberffraw Biscuits, which are a welsh shortbread. For some letters, I have several ideas (next: Bath Buns or Bakewell Pudding) but I'm struggling with I, J, L, V and (unsurprisingly) Z. So far I have only looked at British recipes, I've not looked at Irish cakes yet, but I may look further afield if I can't find anything suitable. Also, if anyone can think of a better name than 'Regional Cake-athon', let me know. I'll try to remember to share my results here. What a good idea. With people from various parts of globe I am sure the missing letters will get sorted. Good Luck in your quest for regional recipes though! Ooh, Viennese biscuits. I hadn't thought of those. My original idea was to do recipes named after (and coming from) a place but I might have to relax the rules and have desserts inspired by places. What I might end up doing is making a recipe from somewhere and just prefixing the name with the place. Thanks, Val. I've not heard of either of those but they do appear to be genuine, or at least there are various different versions on-line. I think I'm now only short of a 'Z'. The nearest I can find so far is "Zimbabwe Sweet Potato Biscuits", which sound like they might be ok. Well, I've got a year until I'll be at that end of the alphabet. The orange and clove cake looks good - I might do that instead of the sweet potato biscuits. I've just downloaded a book from the 1880s called Cassell's dictionary of cookery which has lots of old recipes which should give me more ideas. I've been quite busy today but just before I go to bed I'll post a link to the first recipe in my Cakeathon: Aberffraw Biscuits. I'll probably do a Bath Bun for the letter B. If that doesn't work, the link to my blog at the bottom of each post will get to the recipes. That one works, thank you. The biscuits look good, so worthwhile to do. I bet Orna will like them. 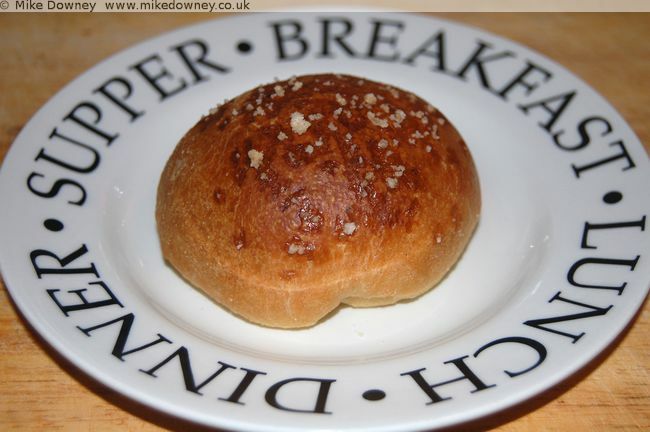 I've added the letter B to my cakeathon now - my bath bun recipe is here. Things might be a little quiet from me though cos our baby boy arrived on monday afternoon and we're all a bit sleep deprived and short of time. Oh, and the Bath bun looks scrummy!